Vanderlinde Developments design and create through precision engineering, increased vehicle performance and power you can rely on. We specialize in camshafts, cylinder heads and performance conversions, including the fitment of custom stainless steel free flow exhaust systems. 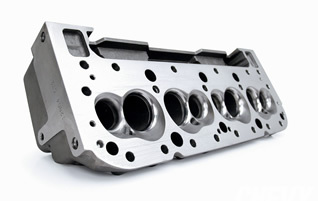 We import and deal with almost every camshaft and recondition and service cylinder heads. 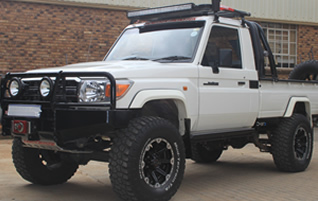 Our team performed successful conversions on a variety of 4x4’s, SUV’s, sedans, sport and racing cars. You can rest assured that the workmanship of the team at Vanderlinde Developments will leave you and your vehicle satisfied. Timing is everything when it comes to performance power. We understand the delicate balance between airflow, fuel and combustion in your engine and can reprofile or modify almost any camshaft to perfect this. 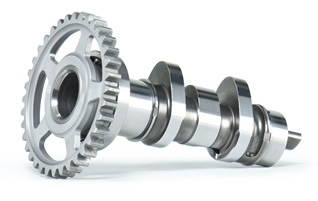 We also import, straighten, polish and repair camshafts. Need more power and better fuel economy? A Stage One Conversion will significantly increase your engine’s kilowatt and torque while a Stage Two Conversions will surpass any expectations you may have had about your vehicle’s performance. The cylinder head is central to the airflow and combustion of your engine. We optimize the gas flow in cylinder heads, recondition both diesel and petrol heads, pressure test heads and perform several other cylinder head services.